I have mixed feelings about Marc Jacobs. I think he's brilliant at recognizing trends and knowing what women want to wear, but as a designer I find him derivative and lazy...frankly, a copycat. 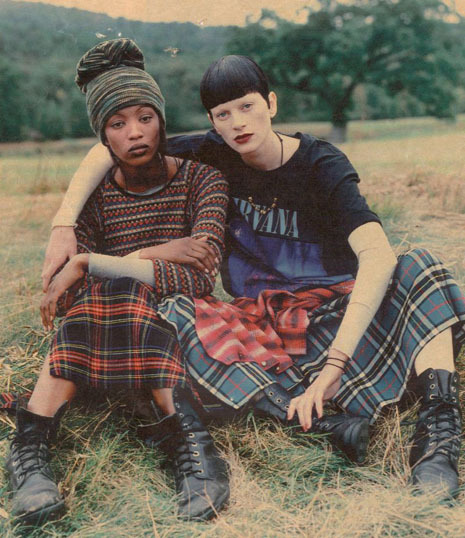 Jacobs bragged that he began the '92 grunge collection by purchasing a ripped flannel shirt in a thrift shop, sending it to Italy and having it made in $300/yard fabric. Um...WHY? But grunge had a lasting influence. I’m in California for a couple of weeks, and all I’m feeling is grunge, grunge, grunge. I want to wear short babydoll dresses with Doc Martens and scrunchy socks, ripped jeans and thermal shirts and layered sheer floral prints. It’s almost 20 years since Kurt Cobain’s death (in my experience, it takes exactly two decades for fashion revivals to occur) and grunge is back; in fact, on the laid-back West Coast, it never really went away. 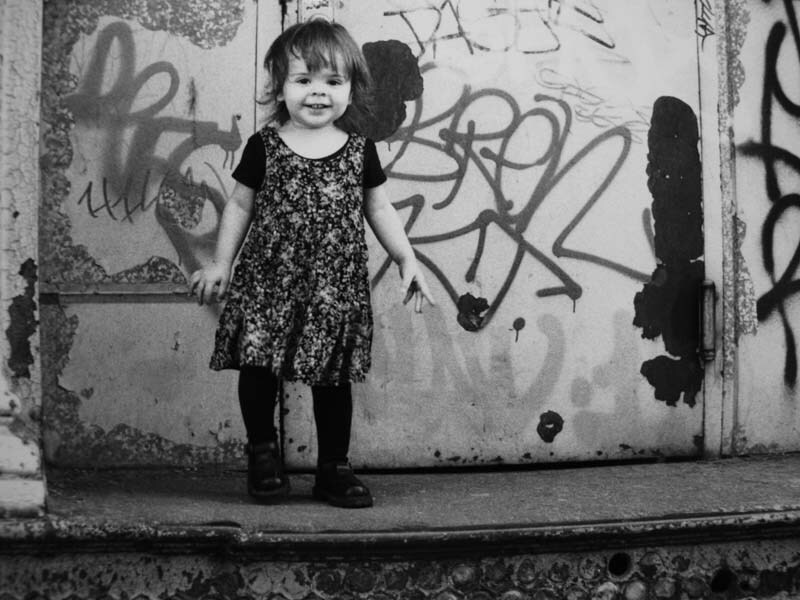 Ruby in 1995, excited for her first day of pre-school on Church Street in a classic grunge outfit: floral rayon dress layered over a black t-shirt, black tights, and chunky black Mary Janes. She even had the requisite messed-up hair. ELISA CASAS (that's me) was born and raised in New York City. I have a BFA in Photography from NYU and worked as a photojournalist and talent scout for major record labels before opening Chelsea Girl in 1993. I also owned Laurel Canyon Vintage, Clutch! and a popular cafe, City Girl Cafe. I star in the groundbreaking Sundance series, “Girls Who Like Boys Who Like Boys” with my best friend, David Munk. 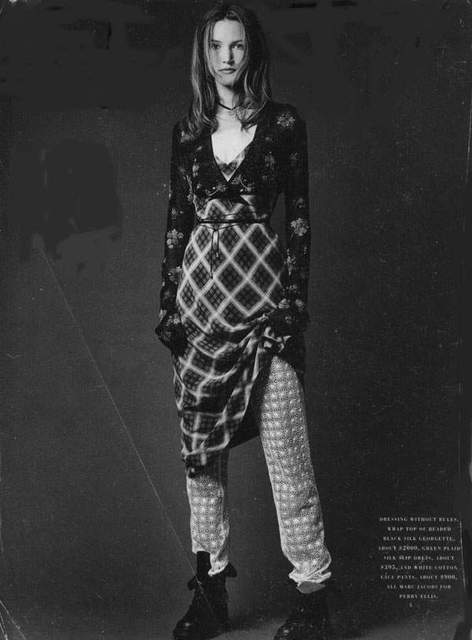 This entry was posted in Chelsea Girl Vintage, GRUNGE, Marc Jacobs. Bookmark the permalink.